Some of you that know me will be aware that I have a box that has a lot of newspaper snippets and notes all ready for the day when I will get around to telling the world their story. I also have a folder in my email and a file on my laptop that has something similar, but sometimes the donor of photographs after being saved to the laptop gets separated and I am unable to acknowledge the sender or owner of the photographs…………yes, I know, but none of us are perfect! A while ago I was sent a set of three pictures – one was of an envelope, and the other two were pages of a letter. 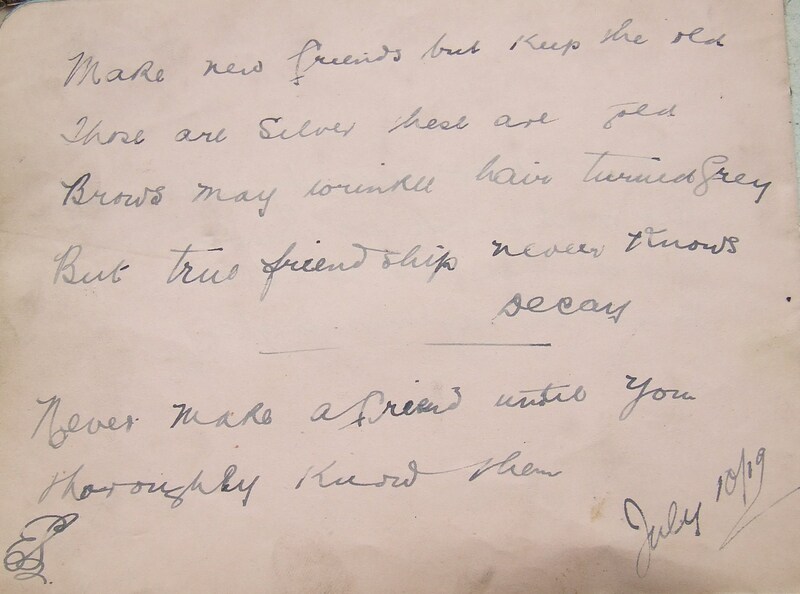 The letter, by a little ragged, was franked and had two one penny stamps on the top right hand corner. It was not written in a style I would have thought was used in that time but a style that was more rounded and with rounded loops on the high letters. The envelope was addressed to Nurse Howell, The Asylum, Wakefield – followed by a full stop and a confidently underscored stroke. I will leave Nurse Howell for a while and concentrate on the sender, one Elizabeth Rudd. Elizabeth Rudd on the top right of her letter gave her address as 32, Westcliffe Terrace, Harrogate and dated it March 5th 1916. Who was Elizabeth and why was she writing to Nurse Howell? Let’s go and find these two ladies! Firstly, Elizabeth. 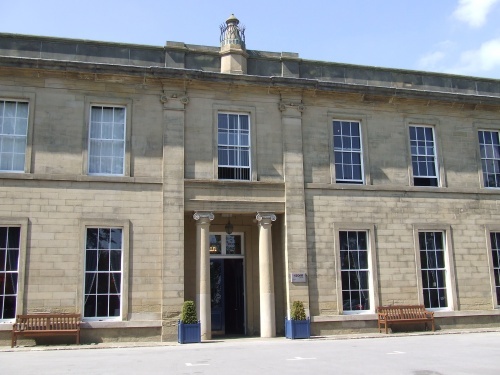 We know where she lived in 1916, so a look at the 1911 gave an Elizabeth Rudd living at 81 Skipton Road, Harrogate, who was 28 years old and working as a draper’s clerk. Her parents were John William Rudd, a joiner and Mary Ann, and five other children in the house. Elizabeth had one sister, Maud Mary aged 23 – could this be the sister whose life had ended with Nurse Howell by her bedside? 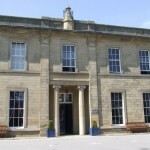 Back in time 10 years to 1901 the family have now swelled their ranks and are living at 4 possibly Ashworth or Charlesworth Place, Harrogate. But there are still no clues as to the missing sister. Back to the drawing board and a cleared Ancestry. I have set up the quick links and one of the links is directly into the UK Collections, but could not find the collection I wanted. So back to the home page and ‘see all new records’ Bingo, there it was, the UK, Lunacy Patients Admission Registers, 1846 1912. My main fear was that the date of the letter was just four years after the collection date, but hey-ho, in for a penny! I did not know Elizabeth’s sisters name therefore a general search for Rudd and Wakefield. 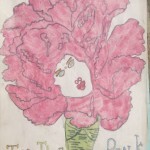 One entry stuck out and that was for a young lady called Hannah Jane Rudd. Hannah had been admitted on the 16th of September to the W. Yorks Asylum with no year given at the top of the page and no years on the previous pages, but her date of discharge of death on 14th February 1916, does seem to lend itself to being the lady we need. So, if Hannah Jane is Elizabeth’s sister and she is not on the 1901 of the 1911 census, will she be on the 1891 and link her to her sister? Let’s go see! The Rudd family in 1891 were living off Grove Road, Harrogate. John William was a joiner and builder and there was a Jane A Rudd, in the house. Could this be our Hannah Jane, who was three years older than Elizabeth? Do you know any different? Nurse Howell, now this could be a little trickier! Presuming, a thing I know you should never do, but where needs must…………as a nurse I presume she would have been a mature person, so over 21. I know during 1916 she was working in the Asylum, and possibly living in the Wakefield area. But, was Nurse Howell, 21ish in 1916 or older? Back again to the 1911 census and a very, very broad search for Howell, Wakefield and female………and more ladies to search through than I cared for. I selected the search to about 1870 to 1895. I hate the new search on Ancestry, the searching does not hold the same ‘chase effect’ that it used to, but we got there after what seemed like an age – I could have made a Christmas cake quicker, or it felt that way! One entry out of all of them stood out! Harriet Margaret Howell, aged 21, giving her year of birth around 1890. She was born at Bowes Park, Middlesex but was living in Seacroft and her occupation was Hospital Nurse. Harriet was one of many nurses and ancillary staff working at Leeds City Hospitals for Infectious Diseases, Seacroft, Leeds, Mr A E Pearson, MRCS, Medical Superintendent was in charge. 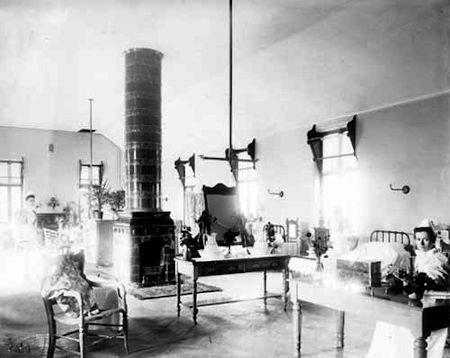 The hospital cared for patients with scarlet fever and diphtheria and provided care for 482. When the need for isolation hospitals lessened Seacroft was changed to a children’s hospital. Harriet must have moved to work in the Asylum by 1915/16 to have nursed Miss Rudd. Is the Nurse Howell I am looking for or do you know better! 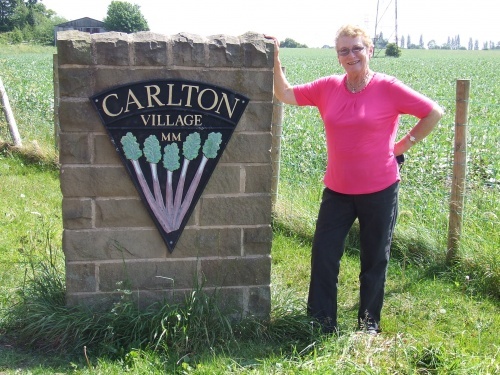 This entry was posted in General, News and tagged 1901, 1911, Ancestry, asylum, census, family, History, Leeds, memory, Seacroft, transcription, Wakefield, yorkshire on January 2, 2015 by carol. A Boy Named Sue or Any Other Name That Fits! As usual I start off doing a little project and then I go off on a tangent – I was looking for someone on a war memorial, a local one, that had a surname that I knew one of my friends was researching – I sent her a message and while waiting for the reply, the whole blog went belly up and did a full 180 ° turn – so you will have to wait for that blog. But, while I was waiting for a reply, someone on one of my facebook groups placed a request for information on a lady who died in Egypt in 1918 – well what was I to do? Leave her question unanswered, or go for it! A quick search of Probate came up with nothing, a search of passenger lists came up with a few but none that I could say 100% without further information. So the good old 1901 was consulted, but not to sure about the entries, therefore, forward 10 years to 1911 and this is where it went all wrong!! I had been looking for ‘Abbie Garner’, she may have been known as Abbie and everyone called her Abbie, and it stuck but I checked Abigail and I should not have done……………..as one entry, an entry very near the top of the list in the 1911 census was for a George Abigail Garner – a transcription error on the index I thought, but no, it was his name, he wrote it clearly on the census and I was totally and utterly distracted from both the war memorial and Abbie. Now I am hooked, who was George Abigail Garner and why the unusual middle name for a man and why did he give his son the same name? Starting where I found him in 1911, we have George snr, head of the house aged 38 and working as a cooper, born in Lowestoft. His wife, Mary Elizabeth aged 34, stated she had been married 10 years, given birth to 4 children, with 3 surviving to the 1911 census. Elizabeth Shepherd Garner is aged 10 and born in North Shields, next is George Abigail jnr, and then Helen aged 5. Finally, Robert Stephenson Garner aged 7 months. Why does Helen have only one name when her siblings have an extra ? A change of websites and a hit for G A in Lowestoft comes up in 1901 where Nathan Garner aged 55 is the head of the house, a town crier, with his wife Martha and 5 children aged between 20 and George, the youngest on the census aged 8. But still not a hint of a clue as to why Abigail was used as a middle name – George is not even entered with this name on the census. Think we may have to back a generation to see what lies there. So to Google, a wonderful too, but don’t believe all you read – verify and check with original sources where possible but if that is not possible make a note of the source and where you found the information. A search for Nathan Garner took me to a site listing all Town Criers world wide, very interesting but I am confused as to why it had an piper playing over the page and even turning my sound off, still the sound could be heard when mousing over the information – why it was not Scottish and had no reason to be there. I like a good tune played on bag pipes, in tune and in the right place – rant over, now back to Nathan. Well, the site did tell me he was working as a crier in 1891. Another link took me to a page full of Suffolk family names – this should be interesting and was. The Nathan Garner I had been looking at on the previous site was born, as we know from the census in 1901, around 1845, but the list of names goes back one more generation, as I said I needed to do. Nathan Garner, yes another, was born around 1829. Back to the census. The 1871 census has Nathan living next door to his brother, William, at 7 Nobbs(?) Buildings, Lowestoft and is a tailor, brother William is a basket maker. Nathan jnr is 16 and working as a shoemaker. I now know Nathan snr’s wifes name – Martha, obtained from an original document. Next stop was to find who Martha was. A visit to Freebmd and a quick search came up with just one entry – Nathan Garner + Martha = Martha Abigaill……………..Fantastic. So, it looks like that George Abigail Garner, even though there is a spelling variation, has the maiden name of his grandmother as his middle name – not unusual but sometimes it may raise a few questions. George Abigail Garner had a son in 1903 and like generations before gave his son his name – George Abigail Garner. Problem solved and back to the blog I was going to start earlier! 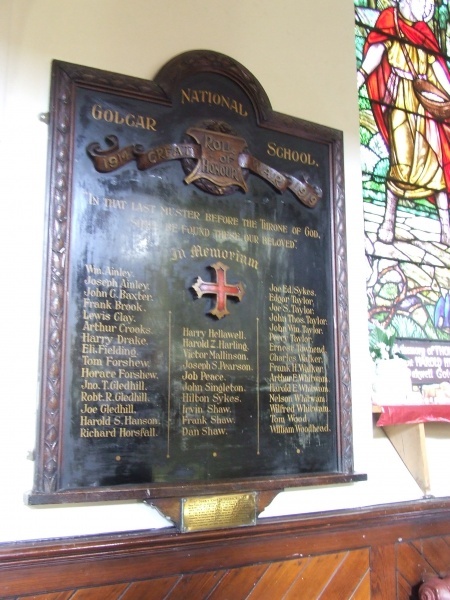 This entry was posted in General, News and tagged 1901, 1911, Abigail, census, cwgc, family, History, Lowestoft, memory, names, North Shields, shoemaker, tailor, town crier, transcription, Tynemouth, who are you on December 28, 2014 by carol. Last year I found a leaflet asking for relatives of those WW1 soldiers who rest in Lijssenthoek Military Cemetary to come forward with any information or documents they may have and as I have original documents relating to my great uncle, there was only one thing to do and that was make contact – well you would, wouldn’t you, it is only being polite after all! 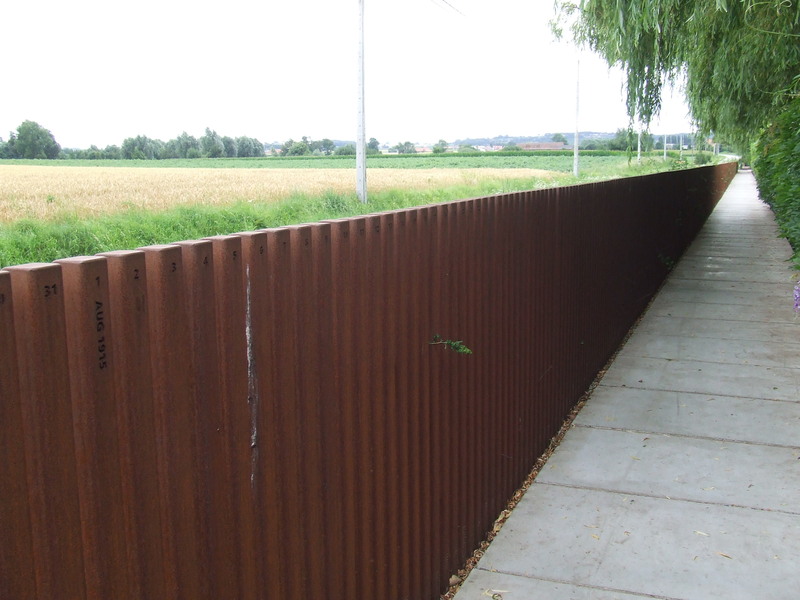 I made contact and as I have a little ‘bolt hole’ quite close to Poperinghe I made several visits to my contact who at the time worked out of Toc H and had many cups of tea there, if I may say, the best cups of tea in Belgium. So, with my documents copied and information regarding my great uncle passed on I awaited the day I could visit. 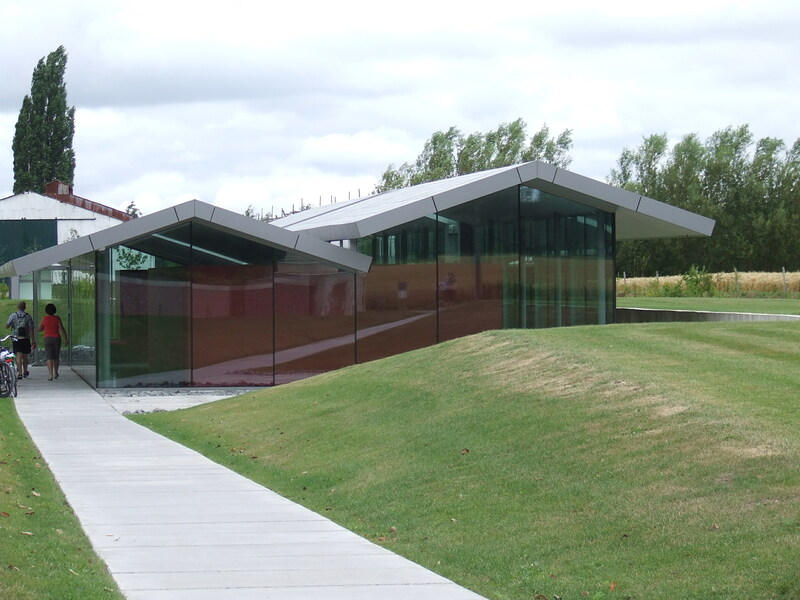 I was invited to the opening in the autumn of 2012 but a few days holiday was not available………..so I waited. The summer of 2013 in August was very hot and on one of the cooler afternoons I crossed the border to my uncle’s ‘little piece of England in a foreign land’. 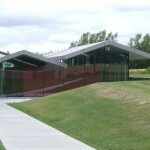 The visitor centre is situated on a parcel of land at the side of the cemetery. I did see the work in progress last year but then it was hard to imagine the building and ideas used. The people at Toc H had told me of the ideas they wished to use and it sounded wonderful. My first stop was, you guessed, the centre and after parking my car took the short walk to the single story centre. 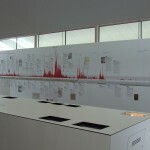 Inside there is a plain red wall with two rows of speakers – for the tall and the short, each tells of the happenings from the area in a soldiers words and is available in four languages. 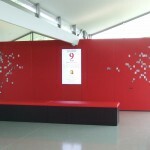 At the rear of this wall is the main archive area, all in white with red accents. This could be symbolic of death and blood or red for the poppies. My aunt a nurse would never have white and red flowers together in the same vase. 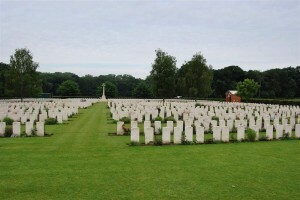 The room has a central work station with banks of computers listing all the men and one woman (Nellie Spindler) who rest within the boundary of the cemetery, and is easy to search. 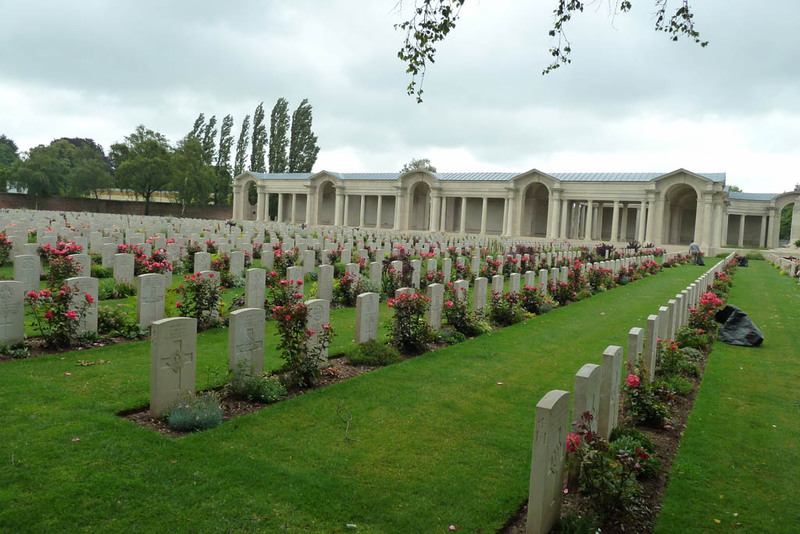 I searched for my uncle, as I expected the CWGC information was there but also my pictures but I was disappointed not to find the original documents I had taken in were not available – never mind, may be at a later date or they may save them for a display, must keep visiting. 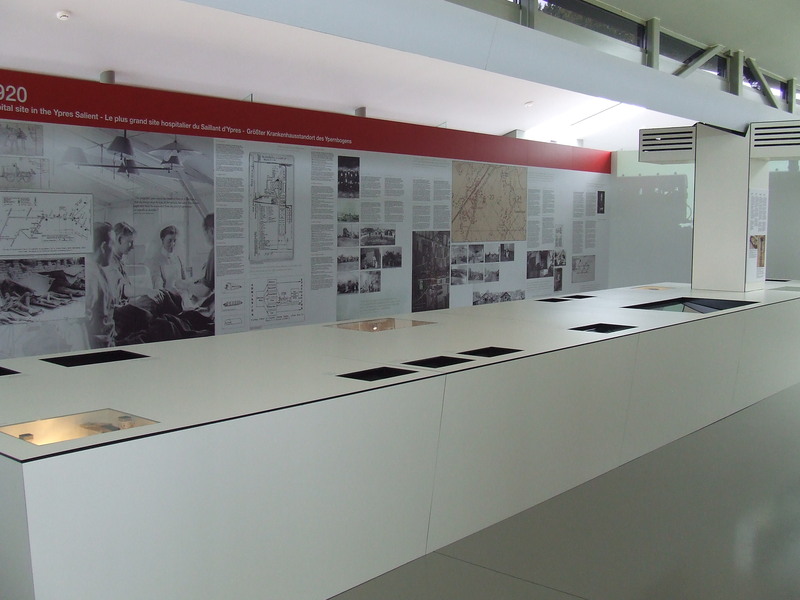 The displays on the wall are ‘clean looking’ and very informative. There are photographs or the original wooden crosses, maps and aerial photographs, Director of Graves photographs, casualty records, letters requesting monies for extra working on their relatives headstones (my family paid the extra charge). You will have seen this if you have visited a WW1 headstone – the wording at the bottom i.e. Much loved son, Dearly loved husband and father. 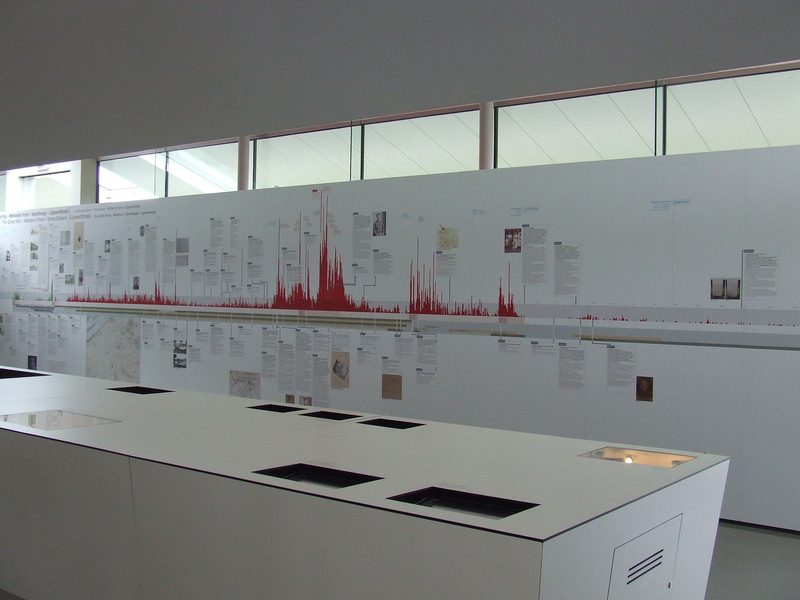 One wall has a plan showing the happenings on the Ypres Salient and a series of red spikes show when the most deaths occurred. To say the Salient was on for quite a long time the spikes occur in a small time span. looks like a pencilled rectangle – one space for each headstone. 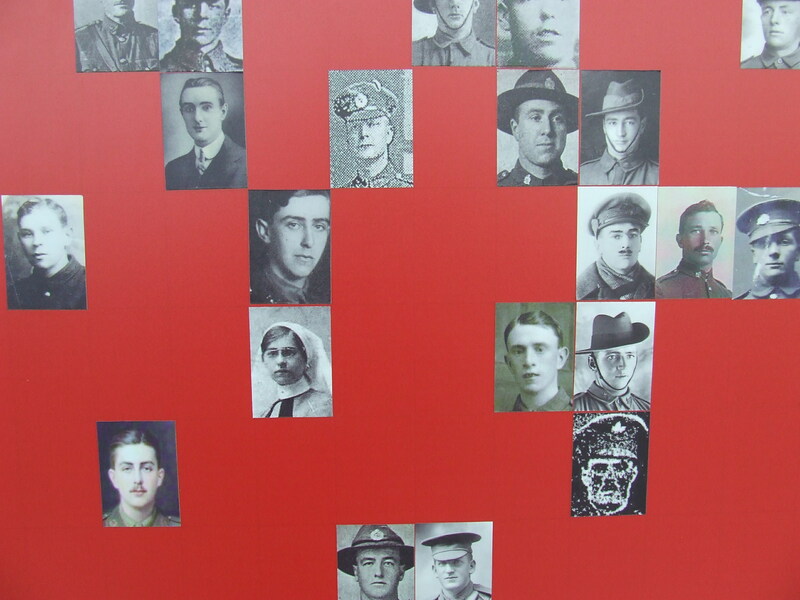 I am pleased to say that my great uncle, Herbert Siddle, Pte., 242874, 1/4th K.O.Y.L.I who died of a bullet wound in his neck, is positioned on the photo wall very close to Nurse Nellie Spindler, also from Wakefield, West Riding of Yorkshire, as it was during their time. did like was that with the press of a button, you could print out information about him for example, his parents names, that he had siblings and that a fiancee never shared a special moment at the alter becoming his wife. That he served in the Balkans and according to his second Lieutenant and was gassed helping a wounded comrade. 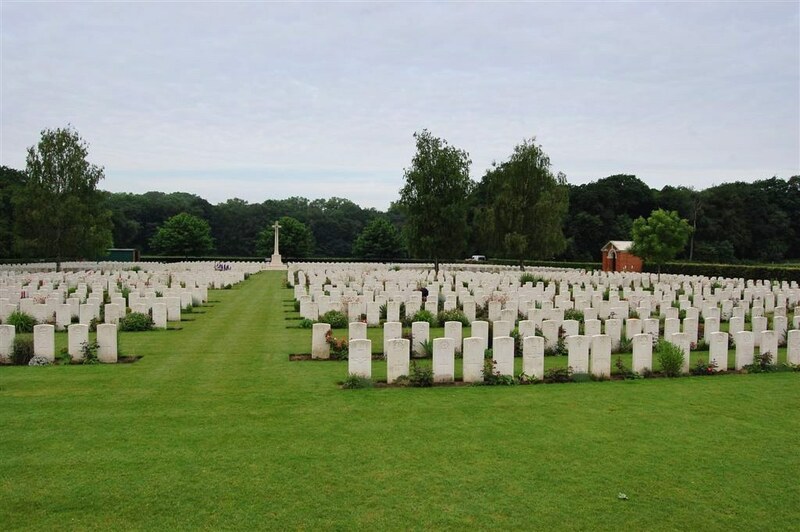 He was overcome by the effects of the gas but did make it to No 10 CCS, the British evacuation hospital in Lijssenthoek at 9:45 and breathed his last some thirty minutes later. that took place. 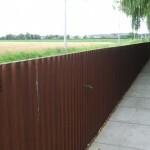 The end of the war is depicted by a gap and the rusty metal continues from 24 January 1919 until 18 June 1921 in staggered dates i.e. 1 August 1915, 1 August 1918, 31 October 1920 and finally, 18 June 1921, bringing home that quite a lot of things were still going on in the area well after the war. 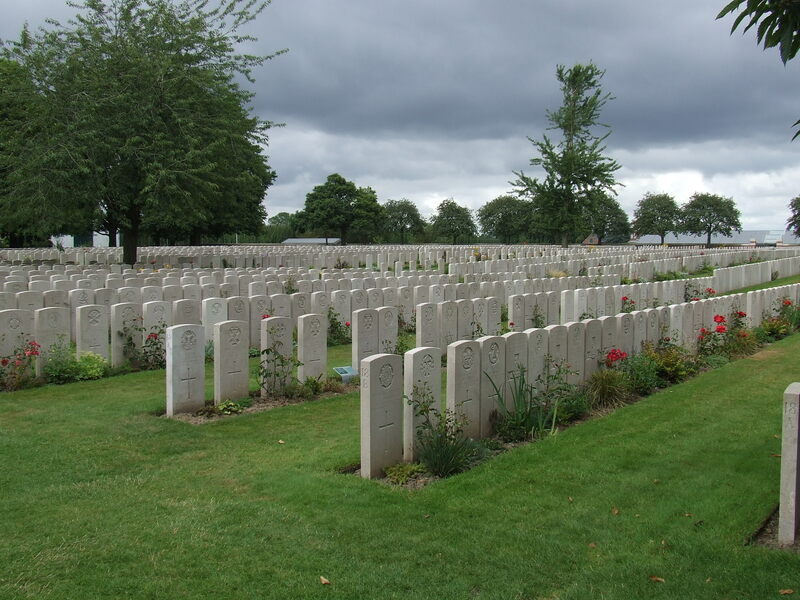 From here, you enter the familiar ground of a CWGC cemetery, rows of soldiers lined up in death as they were in life. Was it worth a visit? Yes! Would I go again? 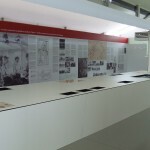 Yes!, of course, as the displays could change and I may get to see the original documentation kept by his mother at the bottom of a blanket box, along with the local newspaper, his picture on the front page as KIA and the insertion by his parents and family later in the paper saying how saddened they were at his loss. 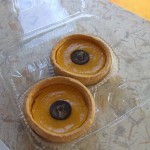 And finally, my reward for a nice afternoon out – only one eaten at a time – promise!! 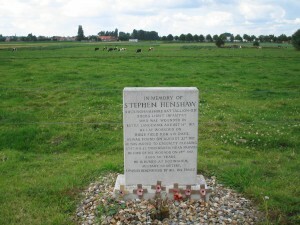 This entry was posted in News and tagged Army, campaign, casualty, conflict, cwgc, History, Lijssenthoek, memorials, memory, military, names, photographs, Poperinghe, records, Regiments, Siddle, Spindler, Wakefield, War, WW1, yorkshire, Ypres on September 13, 2013 by carol. A friend of ours/mine is a songwriter and musician, basing many of his songs around his Northumberland origins. 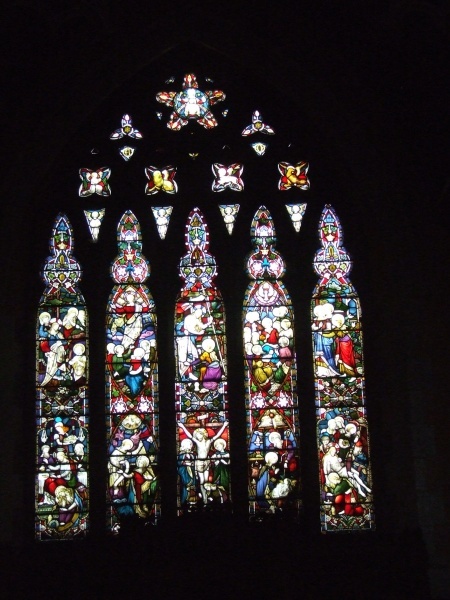 A few years ago I blogged about a mining disaster that was the basis of a wonderful and moving song and a song dedicated to my husband called ‘The Old Chateau’. Anyway, the moving lyrics have once again spurred me into putting fingers to keyboard, but this time based on a postcard written by a fusilier to ‘his Maggie’. I have no idea who the writer was or who ‘his Maggie ‘ was but I have found a Northumberland Fusilier who I shall blog about! Frederick Noel Coates – who was he, just picked out at random from Army Service Records, basically as I thought his name would be easy to follow. Frederick was born in 1895, in Whitley Bay, Northumberland, the son of John Robson Coates and Edith Annie, his wife of 19 years. On Sunday 2nd April 1911 the family were living at 39 Victoria Avenue, Whitley Bay. John was classed as an Accountant, while Edith was given no occupation, but it did give information that she had born 6 children – the eldest being Edith Vera aged 18 and the youngest was Gwendoline aged 7 months. 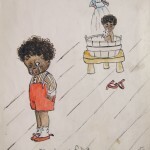 Frederick Noel was the eldest boy aged 16 and employed as a Commercial Clerk. The family were looked after by 2 teenage servants. Ten years previous in 1901, John was an accountant working for the Water Gas Company with his family living at 37 Victoria Avenue. A few short years after the census Frederick Noel Coates on 10 September 1914 signed his Short Service Attestation Papers in Newcastle upon Tyne. Our young man gave his age as 19 years and 259 days and employed as a Wireless Telegraphy Student and was now officially a Private in the 16th Bn., Northumberland Fusiliers. The only other entry on ‘Statement of Service was dated 18 September 1915, but will mention that later. His military history sheet is bare apart from the information regarding his next of kin – John Robson (surname missing , probably as we know the name of the family) 8 South Parade, Whitley Bay. One thing that was not missing was his description – a wonderful find for any family member who has no photograph to view. Frederick was, as we know, 19 years and 259 days old. He was 5” 7 1/2 “ tall and weighed 121lbs. He had a girth of 35” with an expansion range of 4”. His complexion was fresh, he had blue eyes and fair hair and gave no religious preference and he was declared fit for duty. You may be wondering why I wanted to come back to Fredrerick’s Statement of Service, well on the 18September 1915 he was Discharged, but for a very good reason – he was Gazetted a Commission and became Temp. Second Lieutenant. Frederick changed Battalions and was now in the 22nd. 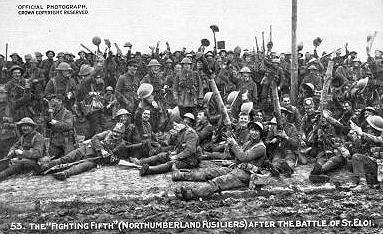 These Battalions were made up of ‘Pals Battalions’ and took part in many battles including 1 July 1916, the first day of the Battle of the Somme – the 22nd Bn., lost over 530 men on that day. 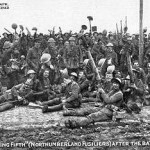 The Northumberland Fusiliers were often known as the ‘fighting fifth’ as until 1881 the regiment was the Fifth Foot, but during The Great War the Northumberland Fusiliers raised no fewer that 51 battalions making it the second largest after the London Regiment. The 22nd was formed in Newcastle on 5 November 1914 by Newcastle’s Lord Mayor and landed in France in January of 1916. 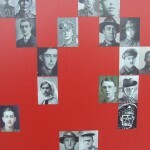 John and Annie Coates lost their eldest son on 4 April 1917 aged 23. He is remembered at FAUBOURG D’AMIENS CEMETERY, ARRAS with over 2640 other known men and 10 who are Known only unto Their God. As to who was the Maggie, dearly mentioned on the postcard that could well be another story, but I do hope that her soldier did return home. 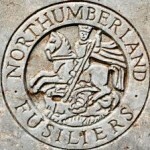 This entry was posted in News and tagged 1901, 1911, A Fusilers Postcard, campaign, casualty, census, conflict, cwgc, Frederick Noel Coates, memorials, memory, military, Northumberland Fusiliers, Regiments, transcription, Where footsteps used to fall, WW1 on August 2, 2013 by carol. Why is it that the things you grow up with, and the people, you take so much for granted, never stopping to ask or question why, what, who and when! My mum left me her handwritten recipe books from which I am now writing a book with the proceeds going to charity, aunty Dolly also gave me a book, about 7” x 5” and in dark brown mock leather. As a child I just looked and thought no more about this little insignificant, slightly ragged, or well worn little book. Before I tell you about the book I would like to tell you about my beloved aunt Dolly. She was born Frances Siddle on 16 September 1907 in Wakefield to Agnes Siddle. There was no father named on her birth certificate. In April 1911 her mother married Ernest Wilkinson and later in the year she was Christened and between 1913 and 1929 three half siblings followed. By 1950 she had met and married John C Kaye, a professional soldier, now he’s another interesting story. Frances by now was known as Dolly or Do-Do and in her early 20’s worked as a barmaid in a public house at the Westgate end of Dewsbury Road. Later, she trained as a nurse and later undertook extra training to become a mental nurse – Frances Siddle, R.C.N., R.M.N. abbreviations of which she was very proud. In my lifetime aunty Dolly worked at Stanley Royd and was one of the shift Sisters in charge of Ward 18. She was immaculate in her navy uniform with a starched white apron, starched cap, and when working on the ward she had her cuffs turned up with frilly white covers or when doing her office work she had her sleeves turned down with stiff white cuffs and always had her keys very close at hand. When I, as a child, used to go with my uncle John to collect her. We used to drive passed the gate house, where at the end of a shift aunty Dolly or Sister Kaye, would deposit her keys. Go up the drive and then turn down towards Ward 18 under a small arch and uncle John would wait in the car while I would run to the large door and ring the bell and await the clunking of the key in the door. Once inside I would either go into aunties office or go and sit with the ladies who lived behind the large locked door. Aunt Dolly and uncle John became my second set of parents as I lived with them for many months while mum was in hospital with an injured leg – what more can you ask for – one set of wonderful parents and then two others who dote on you. people with the name Siddle. 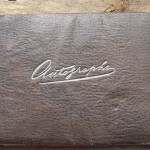 Two of my great uncles have written and signed in the book along with many other peoples ditiities. My aunts Autograph Book is full of her friends. 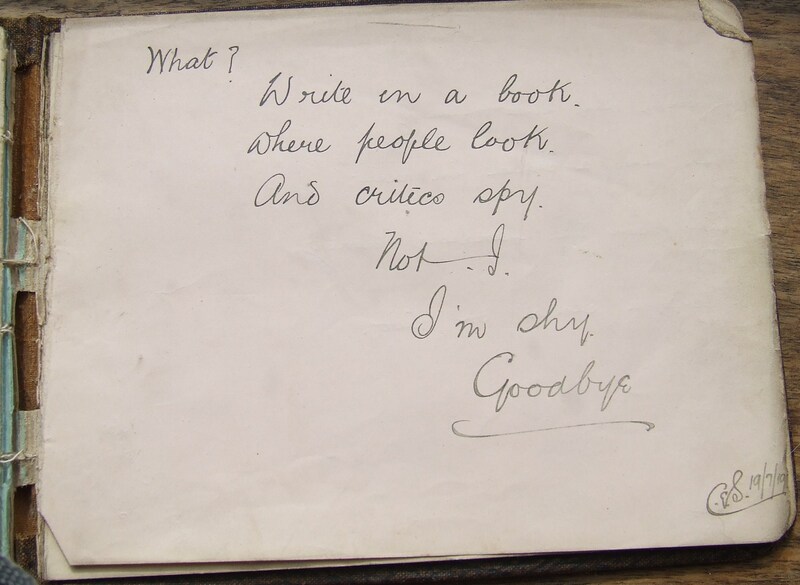 Charles Ernest Siddle on 19 July 1919 wrote ‘What ? Write in a book, where people look, and critics spy, not I, I’m shy, Goodbye’ A few short years later he had died. 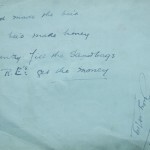 His brother Edwin wrote multiple entries but one that makes me smile is this ‘God made the bees, the bees make honey, the infantry fill the sandbags, the R.E’s get the money’. Others who have graced the pages include Nellie Winterbottom who on 22 March 1922 wrote ‘ Mary had a little watch, she swallowed it one day, now she’s taking Epson Salts to pass the time away’. Gladys Bennett on 6 October 1922 wrote ‘ If every day was sunny, with ne’er a cloud in view, we’d soon be spending money to buy a cloud or two’. Marjorie Holmes wrote ‘The happiest moments of all my life were in the arms of another man’s wife – my mother’. M Harrison on 6 October 1922 wrote ‘ The butterfly has wings of gold, the firefly has wings of flame. The flea it as no wings at all, but it gets there just the same’. I think M Harrison could have also have worked on Ward 18 at Stanley Royd. 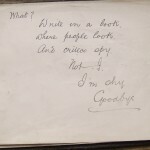 Names and initials on the pages are :- R W, M Brear, G C Moxon, E J Tingle, A Murgatroyd, NellieWinterbottom, Irene Stevenson, A Hutchinson, M Harrison, E Morton, Annie Fraser, Ethel Oxley, M Sykes, D M Meek, E Hemingway, H Asquith, Mary Murgatroyd, Gladys Asquith, C E B, Violet, V Bell, M Garrison, Marjorie Holmes, K Hudson (beautiful pen drawing), M Johnson, Gladys Bennett and finally, G F Smith B.A., L.L.B., L.L.D., A.C.P. 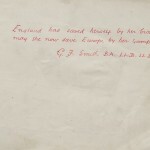 who wrote ‘ England has saved herself by her bravery may she now save Europe by her example’. 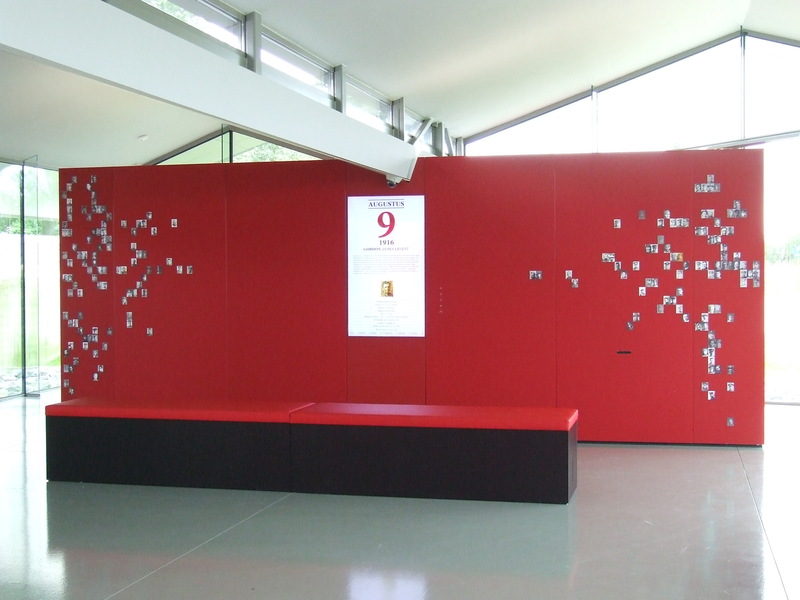 One of the entries is a poem of sorts and covers three pages entitled The Barnsley Disaster. At first I thought this was just a story but that proved to be wrong. Barnsley Public Hall on Saturday 11 January 1908 was the setting for a tragedy when 16 children mainly under 10 years old lost their lives and 40 others were seriously injured. That will be another tale but what interests me at this time are the names. 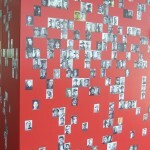 Family history does after all starts with names. 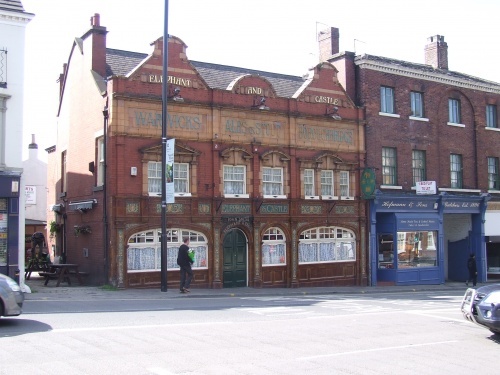 Ethel Oxley for instance was born in 1908, the daughter of Henry and Ethel Oxley who at the time lived at 19 Pilkington Street, Thornes Lane, Wakefield. Ethel at the time being the youngest of four children. Gladys Asquith was not a local girl being born in Hereford. Her grandfather, Benjamin Asquith was a market gardener born in Carr Gate, his wife Elizabeth was also a local girl and their son Walter. But somewhere along the line they moved to Hereford where Walter met his wife Lily and Gladys was born in 1908 but in the next couple of years they moved back ‘home’ and Evelyn came into the world. The census of 1911 index gives the impression that Benjamin and Elizabeth are the parents of the two young children, but I think otherwise and am taking Walter and Lily as their parents. The family lived in a four roomed dwelling at 21 Carter Street, Wakefield. Mary Murgatroyd – there are two Mary Murgatroyds that are within a decent age range but for some reason, call it gut instinct I am going with the younger of the two as her father was a Law Clerk for the County Council. As you have previously read one of the entries in the book has legal initials after his name (maybe not a good enough reason but seems to fit better than the other entry). The family were also living only a few streets away on Johnston Street. 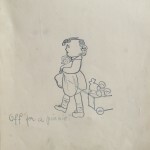 Annie (Ann) Fraser, another writer in aunt Dolly’s little brown book was born in Wakefield along with her brother William, while the rest of the family were from Forfar, Paisley and Glasgow. Annie’s father James was a boat builder, building seamless steel boats. The family lived at 12 Caldervale Road, so James would have been very close to work. Violet (Victoria) Bell was one of five children in the 1911 census to Ernest Edward Bell and his wife Lillian Gertrude – the couple being married thirteen years and he worked as an iron roller at Horbury Junction. Again, a family that came into Wakefield. Ernest was born in Louth, his wife in Tipton, Staffordshire and their two eldest children hailed from Carlisle. 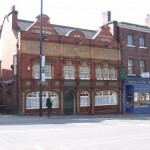 The family lived in three rooms at 14 Wellington St, Thornes Lane. Nellie Winterburn was the daughter of George and Emma who lived at 3 Wellington Street, Thornes Lane. George worked as a cloth scourer to feed his family in 1911. 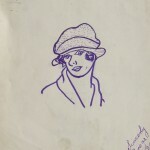 I have now found out who some of the entries were written by but not how they are connected to my aunt – more research to be done. But one of the few names that evade me is G. F. Smith B.A., L.L.B., L.L.D., A.C.P – who is he and what connection did he have to my aunt. Was the connection her friend whose father was a Law Clerk or what it a nursing connection? A quick search of the 1911 census has four entries for a Smith who is a solicitor, but none with the initials C. F. There is, unlike other entries, no date for Mr Smith’s entry but going by the others the dates are between 1918 and 1922. 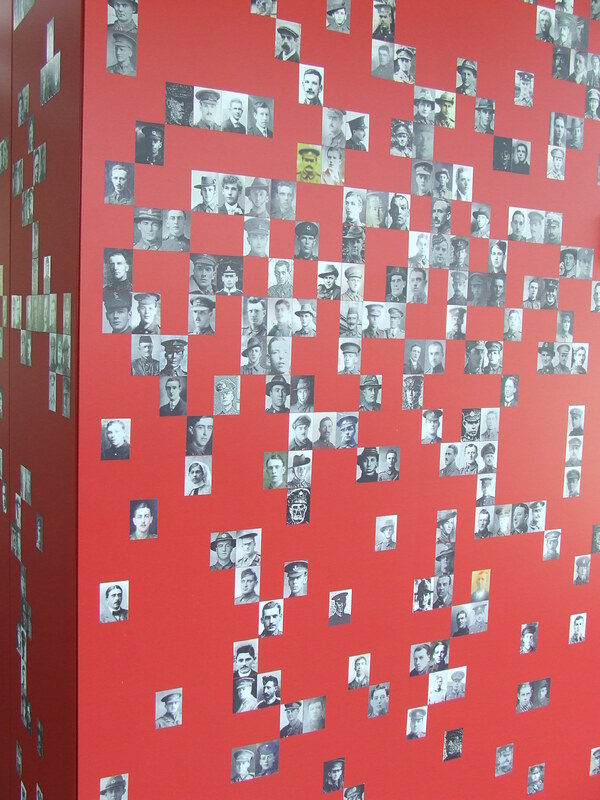 Still more looking around to try and find the threads that crossed these peoples lives in the few years following World War one. But as I write this something has just dawned on me. Something I knew, but never thought of. My aunt was almost a generation older than my father, being born in 1908 and my father in 1923. 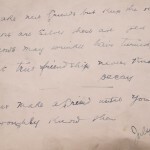 I knew all about her but never until today did it click she lived through WW1 – she would have been there when my great grandma received ‘that telegram’ regarding her son Herbert. There when my great aunt also received ‘that telegram’ regarding her husband George Albert Wheeldon. There when my great grandma lost another son Charles in 1926. It sometimes takes writing things down to realise how the generations blend into one family. So that’s the story of Aunt Dolly’s little brown book so far. This entry was posted in General and tagged autograph book, drawings, family, memories, memory, nursing, photographs, RMN, Sister, sketches, SRN, Stanley Royd Hospital, Wakefield, waterfront on April 7, 2013 by carol. Over the past weeks, I’ve been doing a family tree for a friend and yesterday after threatening to go and visit the area and a local museum, off I went. 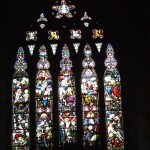 It was a nice day albeit a little nippy – my hands were feeling the chill while taking photographs in the churchyard…. but you carry on for the cause! So, it’s 12:15 and the museum opens at 2pm and my plan was to photograph the family headstones in the churchyard and then cross the road to the museum that was once the home of the family I’m delving into – the Pearson family. I’m not going to go into the family here as I still have to add some photographs etc., but that churchyard is a family tree in itself as many of the names on the headstones tie in with the Pearson tree. I digress, as I said the Pearson people are not the aim of this blog, the true star of these lines is a young man named John T Gledhill. 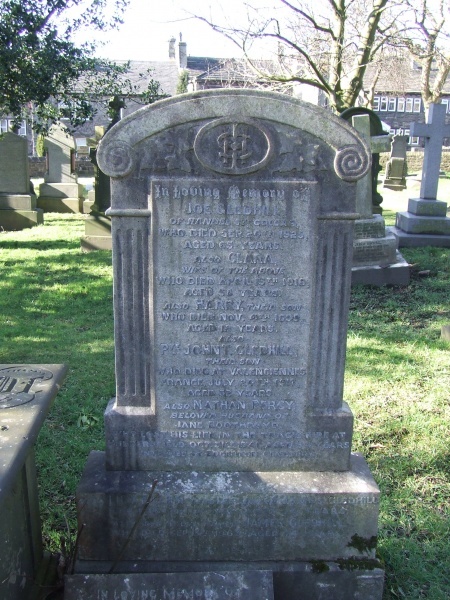 Who was John Taylor Gledhill, well he was born the son of Joe and Clara Gledhill, and lived in 1901 at The Green, Golcar. Joe was aged 43 in the census and worked as a woollen percher. 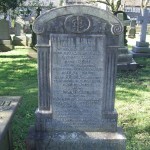 Clara nee Taylor was aged 43 and the mother of 3 children aged between 9 and 16 (Jane, James and John). For those of you wishing to find the family in 1901 they have been transcribed as GLADHILL. By the time of the 1911 census the family were living at 38 Knowl Bank, Golcar in a 5 roomed house. The 3 children were still living at home and all working within the woollen industry, weaver, spinners and twisters. The census tells that Clara had had in total 4 children but only three had survived to the census and the couple had been married 26 years (Sept Qtr 1885 in the Huddersfield Registration District). John Taylor Gledhill joined the Northumberland Fusiliers in Huddersfield and became Pte., 290/706. He was later transferred to the Prince of Wales’s Own (West Yorkshire Regt.,) 16th Battalion and changed his service number to 40858. Soldiers at this time changed their service number when they changed Battalion or Regiment and Officers during this time had no service number. During WW2 service men and women kept their number for the duration of service and now officers had service numbers. The service records for John don’t seem to have survived but from Soldiers who Died in the Great War I have been able to glean that he Died on 24 July 1917 . 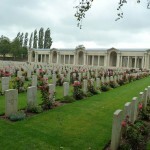 The Commonwealth War Graves Commission confirms his service number for the West Yorkshire Rgt. It also confirms his date of death but also tells us where he now rests – Valenciennes (St Roch) Communal Cemetery and the position within the cemetery, IV D 27 – relating to section, row and number within that row. Each cemetery has a box within or near the entrance where you can find a plan to help pinpointing the grave. Another source, The Medal Rolls Index told that John was eligible for the Victory and British Medals which would have been given to his next of kin. 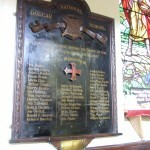 John is recorded on the War Memorial inside the church and also on the St John’s School Memorial, also in the church. What did John look like ? How tall was he ? Did he have any scars or tattoos ? With the lack of his service record I may never know. 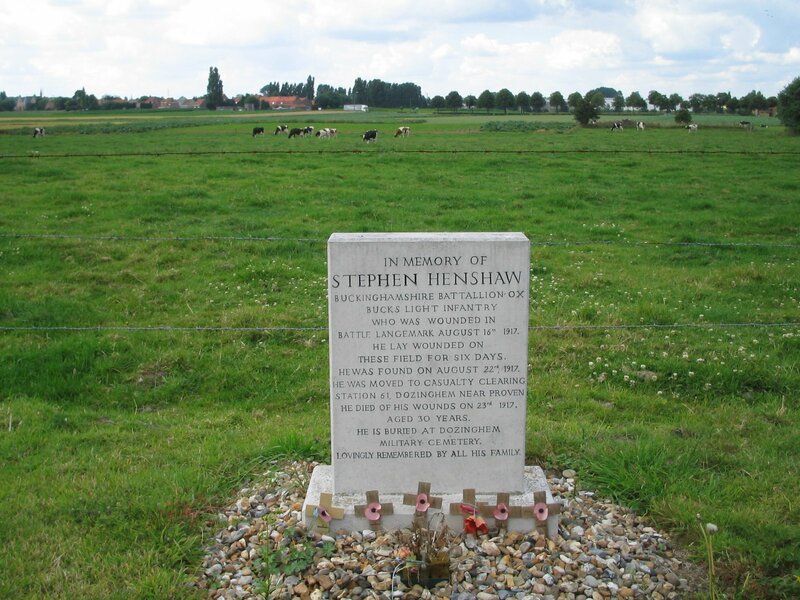 Has John ever had a visitor to his resting place in France and how many people have strayed from the path and wondered among the many headstones and learnt of Johns fate – in modern times probably not many. But today John will have his name written once more and many will now know of this young man from Golcar. 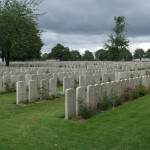 This entry was posted in General, Wakefield Family History Sharing Upates and tagged Army, casualty, conflict, cwgc, family, France, Golcar, memorials, memory, military, names, records, Regiments, yorkshire on February 20, 2012 by carol.